Ahead of their performance at The Sunday Joint this week, we spoke to bloody brilliant brass band the Brass Funkeys about life in the band, and being in such a niche genre. What was your introduction to the New Orleans brass sound? Do you know much about its history? We love the New Orleans tradition and often play some of the classic tunes (Just a Closer Walk, I’ll Fly Away) alongside original material in our sets. YoungBlood and Hot 8 Brass band were really the trailblazers of the new sound of New Orleans and we love those guys as much as Louis Armstrong and Buddy Bolden! What was it that attracted you to make such a style of music with the band? What other kinds of bands have you been in over the years? It was the chance purchase of a sousaphone on eBay about 7 years ago that started up – we’re still using the same instrument today and it’s definitely part of our sound. We all individually play in a load of other bands as well from salsa to pop, but nothing quite beats the sound of massed brass. The UK obviously has a tradition of brass music as well – is it less cool than the American version? 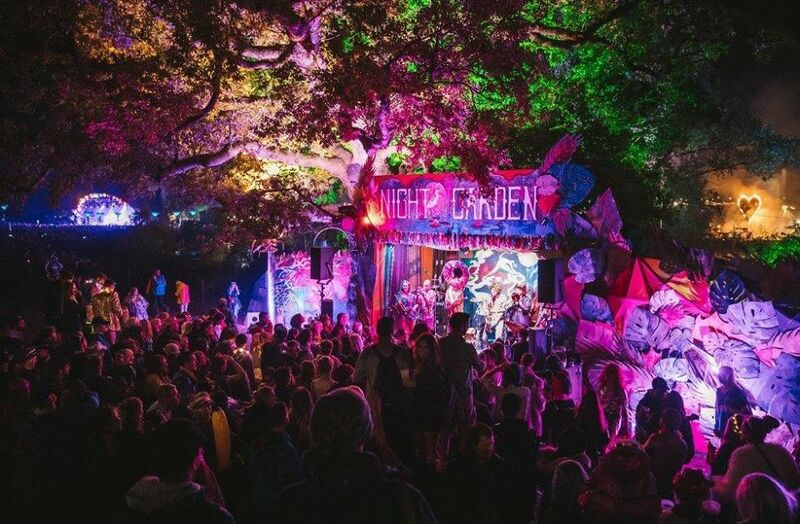 The traditional UK brass bands – tenor horns and cornets playing sit down concerts – are pretty different from us, and we’re more likely to be pumping out some big tunes on a Glastonbury stage than in a concert hall. Our tradition has definitely come over from the States, however now there is a great UK scene with a few similar brass bands out there all doing different takes on the New Orleans sound which is a great community to be part of. Your Facebook description suggests that you play jazz, funk and even metal – how does this work, technically? Also, do the crew all like to listen to the same music on the tourbus, or is there a fight? We’re into everything and anything! The brass band format is super versatile. We’ve covered everything from Little Mix to Rage against the Machine – our new album “Rabble Rouser” is mostly originals with a massive range of styles from big band to electro-dub, so there’s something for everyone on there! Your line of work is incredibly physical. When you first started touring, did you struggle? What is it like now – is fatigue or injury an issue? Just watching you play those wind instruments makes me feel tired. I think we’re all used to playing really loudly for sustained periods on a daily basis now so that’s not really a problem. I’d recommend it to any brass player – there’s nothing like doing an unamplified outside gig to a massive crowd for hours to improve your stamina! Touring can be tough though – it’s mainly the travelling for long periods that takes it out of you. Summer has officially come to an end now – what were your favourite moments of the festival season? I can imagine your band is perfect for those summery vibes. We had a great festival season – highlights including Avalon main stage at Glasto, Wilderness and many more – but the absolute highlight was seeing a young band from New Orleans playing before us at the North Sea Jazz Festival in Holland. They had so much vibe it was unreal despite mostly being under 10 years old! We played Fly Away during our set and they loved it – being part of a UK band playing a New Orleans traditional song to kids that have grown up with that tradition and having them dig it was an awesome experience. What is your writing process like? What was it like making the jump from covers to original songs? Is it necessary to play covers to keep the crowd interested? Almost all of the band members write and bring music into rehearsals, then we workshop it and work out arrangements. We love doing originals now and when we do covers they tend to be more left-field – on our new album we’ve got songs by Gorillaz, Royce Wood Jr and a number 2 from the 1950s called Zambezi all in our own style. We always arrange our own covers as well so when we do put them into a set it’s still something nobody’s heard before in that style! What other bands on your scene are you enjoying at the moment? We’ve got a really strong group of UK-based brass bands at the moment who we usually meet at festivals – occasionally we’ve done a few gigs alongside other bands as a “brass off” – we’ve recently had some fun gigs alongside BYOB and Dat Brass who are definitely worth checking out. What three words would you use to describe your performance to encourage people to come and see you on you Sunday?